This section discusses what the authors have identified as possible key vulnerabilities based on the criteria specified in the Introduction and Section 19.2, and on the literature on impacts that may be considered potentially 'dangerous' in the sense of Article 2. The key vulnerabilities identified in this section are, as noted earlier, not a comprehensive list but illustrate a range of impacts relevant for policy-makers. Section 19.3.1 introduces, in condensed tabular form, key vulnerabilities, organising them by type of system, i.e., market, social, ecological or geophysical. The following sections discuss some of the key vulnerabilities by type of system, and add discussions of extreme events and an update on the 'reasons for concern' framework from the TAR. Each sub-section is cross-referenced to the relevant sections of the Fourth Assessment Report as well as primary publications from which more detail can be obtained. As noted in Section 19.1.1, the likelihood and confidence judgements in this section reflect the assessments of the authors of this chapter. Table 19.1. Examples of potential key vulnerabilities. This list is not ordered by priority or severity but by category of system, process or group, which is either affected by or which causes vulnerability. Information is presented where available on how impacts may change at larger increases in global mean temperature (GMT). All increases in GMT are relative to circa 1990. Entries are necessarily brief to limit the size of the table, so further details, caveats and supporting evidence should be sought in the accompanying text, cross-references, and in the primary scientific studies referenced in this and other chapters of the AR4. In many cases, climate change impacts are marginal or synergistic on top of other existing and changing stresses. Confidence symbol legend: *** very high confidence, ** high confidence, * medium confidence, • low confidence. Sources in [square brackets] are from chapters in the WGII AR4 unless otherwise indicated. Where no source is given, the entries are based on the conclusions of the Chapter 19 authors. Relationship between temperature and risk. Damages likely to increase exponentially, sensitive to rate of climate change, change in extreme events and adaptive capacity ** [3.5, 6.5.3, 7.5]. Current effects are Although some risks would be reduced, aggregate health small but discernible impacts would increase, particularly from malnutrition, * [1.3.7, 8.2]. diarrhoeal diseases, infectious diseases, floods and droughts, extreme heat, and other sources of risk */**. Sensitive to status of public health system *** [8.ES, 8.3, 8.4, 8.6]. Decreased water Severity of floods, droughts, erosion, water-quality deterioration availability and will increase with increasing climate change ***. Sea-level rise increased drought in will extend areas of salinisation of groundwater, decreasing some mid latitudes freshwater availability in coastal areas *** [3.ES]. Hundreds of and semi-arid low millions people would face reduced water supplies ** [3.5]. latitudes ** [3.2, 3.4, 3.7]. Stresses such as increased drought, water shortages, and riverine and coastal flooding will affect many local and regional populations **. This will lead in some cases to relocation within or between countries, exacerbating conflicts and imposing migration pressures * [19.2]. damages than in TAR •. Net market [20.6]. Most people negatively affected *. net market losses in many low-latitude areas. * [20.6, 20.7]. Most people negatively affected •/*. Tens of millions of Hundreds of millions of additional people at risk of increased people at risk of water stress; increased risk of malaria in highlands; reductions increased water stress; in crop yields in many countries, harm to many ecosystems increased spread of such as Succulent Karoo • [9.4.1, 9.4.3, 9.4.4, 9.4.5]. malaria • [9.2, 9.4.1, 9.4.3]. About 1 billion people would face risks from reduced agricultural production potential, reduced water supplies or increases in extremes events • [10.4]. Tens of millions of More than a hundred million people at risk of water shortages • people at risk of [13.ES, 13.4.3]; low-lying coastal areas, many of which are water shortages • heavily populated, at risk from sea-level rise and more intense [13.ES, 13.4.3]; coastal storms • (about 2-3°C) [13.4.4]. Widespread loss of many endemic biodiversity, particularly in the Amazon • [13.4.1, 13.4.2]. species at risk from land-use and climate change • (~1°C) [13.4.1, 13.4.2]. Climate change is Continued warming likely to lead to further loss of ice cover and already having permafrost ** [15.3]. Arctic ecosystems further threatened **, substantial impacts although net ecosystem productivity estimated to increase ** on societal and [15.2.2,15.4.2]. While some economic opportunities will open ecological systems ** up (e.g., shipping), traditional ways of life will be disrupted ** [15.ES]. [15.4,15.7]. Many islands already experiencing some negative effects ** [16.2]. Increasing coastal inundation and damage to infrastructure due to sea-level rise ** [16.4]. Some communities Climate change and sea-level rise add to other stresses **. already affected ** Communities in low-lying coastal and arid areas are especially [11.4, 14.2.3, threatened ** [3.4, 6.4]. 15.4.5]. Climate models generally project decreased precipitation in these regions [3.4.1, 3.5.1, 11.3.1]. Reduced runoff will exacerbate limited water supplies, decrease water quality, harm ecosystems and result in decreased crop yields ** [3.4.1,11.4]. Inter-tropical glaciers Accelerated reduction of inter-tropical mountain glaciers. are melting and Some of these systems will disappear in the next few causing flooding in decades * [Box 1.1, 9.2.1, Box 9.1,10.ES, 10.2.4, 10.4.2, some areas; shifts in 13.ES, 13.2.4.1]. Many circa 20-30% species Major extinctions around the ecosystems at increasingly high globe ** [4.4] already affected risk of extinction * *** [1.3]. [4.4]. Intensified hydrological cycles, more severe droughts and floods *** [3.4.3]. Extinction of many freshwater species **, major changes in limnology of lakes **, increased salinity of inland lakes **. Some lakes already showing decreased fisheries output; poleward migration of aquatic species ** [1.3.4, 4.4.9]. Confidence, Low Adaptive Capacity, concentration increases ***; ecological changes are potentially severe * [1.3.4, 4.4.9]. Rate of Change Carbon cycle feedback increases projected CO2 concentrations by 2100 by 20-220 ppm for SRES2 A2, with associated additional warming of 0.1 to 1.5°C **. AR4 temperature range (1.1-6.4°C) accounts for this feedback from all scenarios and models but additional CO2 and CH4 releases are possible from permafrost, peat lands, wetlands, and large stores of marine hydrates at high latitudes * [4.4.6,15.4.2]. Permafrost already melting, and above feedbacks generally increase with climate change, but eustatic sea-level rise likely to increase stability of hydrates *** [1.3.1]. Localised deglaciation (already observed, due to local warming); extent would increase with temperature increase *** [19.3.5]. Commitment to widespread ** to near-total * deglaciation, 2-7 m sea-level rise3 over centuries to millennia * [19.3.5]. Considerable weakening **. Commitment to large-scale and persistent change including possible cooling in northern high-latitude areas near Greenland and north-west Europe • highly dependent on rate of climate change [12.6,19.3.5]. Further increase in tropical cyclone intensity */** exceeding infrastructure design criteria with large economic costs ** and many lives threatened **. Increases in flash flooding in many regions due to increased rainfall intensity** and in floods in large basins in mid and high latitudes **. Increased flooding in many regions (e.g., North America and Europe) due to greater increase in winter rainfall exacerbated by loss of winter snow storage **. Greater risk of dam burst in glacial mountain lakes ** [10.2.4.2]. Increased heat stress and heat-waves, especially in continental areas ***. Frequency of heatwaves (according to current classification) will increase rapidly, causing increased mortality, crop failure, forest die-back and fire, and damage to ecosystems ***. Drought already increasing * [1.3.2.1]. Increasing frequency and intensity of drought in mid-latitude continental areas projected ** [WG110.3.6.1]. Extreme drought increasing from 1 % land area to 30% (SRES A2 scenario) [WGI 10.3.6.1]. Mid-latitude regions seriously affected by poleward migration of Annular Modes ** [WGI 10.3.5.5]. Increased fire frequency and intensity in many areas, particularly where drought increases ** [4.4,14.2.2]. Frequency and intensity likely to be greater, especially in boreal forests and dry peat lands after melting of permafrost ** [4.4.5, 11.3, 13.4.1, 14.4.2, 14.4.4]. 2 SRES: Special Report on Emissions Scenarios, see Nakicenovic et al., 2000.
regarding socio-economic development. However, only in a few cases does the literature address rate or duration of warming and its consequences. As entries in the table are necessarily short, reference should be made to the relevant chapters and to the accompanying text in this chapter for more detailed information and cross-referencing, including additional caveats where applicable. The term 'social systems' is used here in a broad sense to describe human systems, and includes both market systems and social systems. Market systems typically involve the provision and sale of goods and services in formal or informal markets. Valuation of non-market impacts (e.g., losses of human life, species lost, distributional inequity, etc.) involves a series of normative judgements that limit the degree of consensus and confidence commanded by different studies (see Section 19.1.2). The importance of non-market impacts and equity weighting is suggested by Stern (2007) but, in the absence of likelihood and confidence assessments, it is difficult to apply to any risk-management framework calculations. We first discuss impacts on major market systems, followed by a discussion of impacts on major aspects of social systems. Such impacts are often considered to be important in the context of sustainable development. Ensuring that food production is not threatened is an explicit criterion of UNFCCC Article 2. In general, low-latitude areas are most at risk of having decreased crop yields. In contrast, mid- and high-latitude areas could generally, although not in all locations, see increases in crop yields for temperature increases of up to 1-3°C (see Chapter 5 Section 5.4.2). Taken together, there is low to medium confidence that global agricultural production could increase up to approximately 3°C of warming. For temperature increases beyond 1-3°C, yields of many crops in temperate regions are projected to decline (*/*4). As a result, beyond 3°C warming, global production would decline because of climate change (•/*) and the decline would continue as GMT increases (•/*). Most studies on global agriculture have not yet incorporated a number of critical factors, including changes in extreme events or the spread of pests and diseases. In addition, they have not considered the development of specific practices or technologies to aid adaptation. Other market systems will also be affected by climate change. These include the livestock, forestry and fisheries industries, which are very likely to be directly affected as climate affects the quality and extent of rangeland for animals, soils and other growing conditions for trees, and freshwater and marine ecosystems for fish. Other sectors are also sensitive to climate change. These include energy, construction, insurance, tourism and recreation. The aggregate effects of climate change on many of these sectors has received little attention in the literature and remains highly uncertain. Some sectors are likely to see shifts in expenditure; with some contracting and some expanding. Yet, for some sectors, such as insurance, the impacts of climate change are likely to result in increased damage payments and premiums (see Chapter 7). Other sectors, such as tourism and recreation, are likely to see some substantial shifts (e.g., reduction in ski season, loss of some ski areas, shifts in location of tourist destinations because of changes in climate and extreme events; e.g., Hamilton et al., 2005; see also Chapter 7 Section 7.4.2 and Chapter 14 Section 14.4.7). Global net energy demand is very likely to change (Tol, 2002b). Demand for air-conditioning is highly likely to increase, whereas demand for heating is highly likely to decrease. The literature is not clear on what temperature is associated with minimum global energy demand, so it is uncertain whether warming will initially increase or decrease net global demand for energy relative to some projected baseline. However, as temperatures rise, net global demand for energy will eventually rise as well (Hitz and Smith, 2004). The total economic impacts from climate change are highly uncertain. Depending upon the assumptions used (e.g., climate sensitivity, discount rate and regional aggregation) total economic impacts are typically estimated to be in the range of a few percent of gross world product for a few degrees of warming (see Chapter 20). Some estimates suggest that gross world product could increase up to about 1-3°C warming, largely because of estimated direct CO2 effects on agriculture, but such estimates carry only low confidence. Even the direction of gross world product change with this level of warming is highly uncertain. Above the 1-3°C level of warming, available studies indicate that gross world product could decrease (•). For example, Tol (2002a) estimates net positive global market impacts at 1°C when weighting by economic output, but finds much smaller positive impacts when equity-weighted. Nordhaus (2006) uses a geographically based method and finds more negative economic impacts than previous studies, although still in the range of a few percent of gross world product. Studies of aggregate market impacts tend to rely on scenarios of average changes in climate and focus on direct economic effects alone. Potential damages from increased severity of extreme climate events are often not included. The damages from an increase in extreme events could substantially increase market damages, especially at larger magnitudes of climate change (*). Also, recent studies draw attention to indirect effects of climate change on the economy (e.g., on capital accumulation and investment, on savings rate); although there is debate about methods, the studies agree that such effects could be significant and warrant further attention (see Section 19.3.7; Fankhauser and Tol, 2005; Kemfert, 2006; Roson and Tol, 2006; Fisher et al., 2007). Global market impacts mask substantial variation in market impacts at the continental, regional, national and local scales. Even if gross world product were to change just a few percent, national economies could be altered by relatively large amounts. 4 The following confidence symbols are used: *** very high confidence, ** high confidence, * medium confidence, • low confidence. For example, Maddison (2003) reports increases in cost of living in low-latitude areas and decreases in high-latitude areas from a 2.5°C warming. All studies with regional detail show Africa, for example, with climate damages of the order of several percent of gross domestic product (GDP) at 2°C increase in GMT or even lower levels of warming (*). As noted below, very small economies such as Kiribati face damages from climate change in the range of 20% of their GDP (•) (see Chapter 16 Section 16.4.3). The distributional heterogeneity in market system impacts reflects the equity criterion described in Section 19.2 when considering which impacts may be considered 'key'. With regard to vulnerability of societal systems, there are myriad thresholds specific to particular groups and systems at specific time-frames beyond which they can be vulnerable to variability and to climate change (Yamin et al., 2005). These differences in vulnerability are a function of a number of factors. Exposure is one key factor. For example, crops at low latitudes will have greater exposure to higher temperatures than crops at mid- and high latitudes. Thus, yields for grain crops, which are sensitive to heat, are more likely to decline at lower latitudes than at higher latitudes. Social systems in low-lying coastal areas will vary in their exposure and adaptive capacities, yet most will have increased vulnerability with greater warming and associated sea-level rises or storm surges. Even though some cold-related deaths and infectious disease exposure are likely to be reduced, on balance there is medium confidence that global mortality will increase as a result of climate change. It is estimated that an additional 5-170 million people will be at risk of hunger by the 2080s as a consequence of climate change (Chapter 5 Section 5.6.5). There is medium to high confidence that some other climate-sensitive health outcomes, including heatwave impacts, diarrhoeal diseases, flood-related risks, and diseases associated with exposure to elevated concentrations of ozone and aeroallergens, will increase with GMT (Chapter 8 Section 8.4.1). Development and adaptation are key factors influencing human health risk (Chapter 8 Section 8.6). Vulnerability associated with water resources is complex because vulnerability is quite region-specific. In addition, the level of development and adaptation and social factors determining access to water are very important in determining vulnerability in the water sector. Studies differ as to whether climate change will increase or decrease the number of people living in water-stressed areas (e.g., Parry et al., 1999; Arnell, 2004; Hitz and Smith, 2004; Alcamo et al., 2007). Hundreds of millions of people are estimated to be affected by changes in water quantity and quality (Chapter 3 Section 3.4.3; Arnell, 2004) but uncertainties limit confidence and thus the degree to which these risks might be labelled as 'key'. Floods and droughts appear to have increased in some regions and are likely to become more severe in the future (Chapter 3 Section 3.4.3). Many of the societal impacts discussed above will be felt within the regions assessed as part of the AR4. At a regional and sub-regional scale, vulnerabilities can vary quite considerably. For example, while mid- and high-latitude areas would have increased crop yields up to about 3°C of warming, low-latitude areas would face decreased yields and increased risks of malnutrition at lower levels of warming (•/*) (Chapter 5 Section 5.4.2; Parry et al., 2004). Africa is likely to be the continent most vulnerable to climate change. Among the risks the continent faces are reductions in food security and agricultural productivity, particularly regarding subsistence agriculture (Chapter 9 Sections 9.4.4 and 9.6.1; Parry et al., 2004; Elasha et al., 2006), increased water stress (Chapter 9 Section 9.4.1) and, as a result of these and the potential for increased exposure to disease and other health risks, increased risks to human health (Chapter 9 Section 9.4.3). Other regions also face substantial risks from climate change. Approximately 1 billion people in South, South-East, and East Asia would face increased risks from reduced water supplies (•) (Chapter 10 Section 10.4.2), decreased agricultural productivity (•) (Chapter 10 Section 10.4.1.1), and increased risks of floods, droughts and cholera (*) (Chapter 10 Section 10.4.5). Tens of millions to over a hundred million people in Latin America would face increased risk of water stress (•) (Chapter 13 Section 13.4.3). Low-lying, densely populated coastal areas are very likely to face risks from sea-level rise and more intense extreme events (Chapter 13 Section 13.4.4). The combination of land-use changes and climate change is very likely to reduce biodiversity substantially (Chapter 13 Section 13.2.5.1). There is very high confidence that human settlements in polar regions are already being adversely affected by reduction in ice cover and coastal erosion (Chapter 15 Section 15.2.2). Future climate change is very likely to result in additional disruption of traditional cultures and loss of communities. For example, warming of freshwater sources poses risks to human health because of transmission of disease (*) (Martin et al., 2005). Shifts in ecosystems are very likely to alter traditional use of natural resources, and hence lifestyles. Small islands, particularly several small island states, are likely to experience large impacts due to the combination of higher exposure, for example to sea-level rise and storm surge, and limited ability to adapt (Chapter 16 Sections 16.ES, 16.2.1 and 16.4). There is very high confidence that many islands are already experiencing some negative effects of climate change (Chapter 1 Section 1.3.3; Chapter 16 Section 16.4). The long-term sustainability of small-island societies is at great risk from climate change, with sea-level rise and extreme events posing particular challenges on account of their limited size, proneness to natural hazards and external shocks combined with limited adaptive capacity and high costs relative to GDP. Subsistence and commercial agriculture on small islands is likely to be adversely affected by climate change and sea-level rise, as a result of inundation, seawater intrusion into freshwater lenses, soil salinisation, decline in water supply and deterioration of water quality (Chapter 16 Executive Summary and Section 16.4). A group of low-lying islands, such as Tarawa and Kiribati, would face average annual damages of 17 to 18% of its economy by 2050 under the SRES A2 and B2 scenarios (•) (Chapter 16 Section 16.4.3). Even in developed countries, there are many vulnerabilities. Arnell (2004) estimated a 40 to 50% reduction in runoff in southern Europe by the 2080s (associated with a 2 to 3°C increase in global mean temperature). Fires will very likely continue to increase in arid and semi-arid areas such as Australia and the western USA, threatening development in wildland areas (Chapter 4 Section 4.4.4; Chapter 11 Section 11.3.1; Chapter 14 Box 14.1 and Section 14.4.4; Westerling et al., 2006). Climate change is likely to increase the frequency and intensity of extreme heat events, as well as concentrations of air pollutants, such as ozone, which increase mortality and morbidity in urban areas (see Chapters 8, 11, 12 and 14). There is very high confidence that regional temperature trends are already affecting species and ecosystems around the world (Chapter 1 Sections 1.3.4 and 1.3.5; Parmesan and Yohe, 2003; Root et al., 2003; Menzel et al., 2006) and it is likely that at least part of the shifts in species observed to be exhibiting changes in the past several decades can be attributed to human-induced warming (see Chapter 1; Root et al., 2005). Thus, additional climate changes are likely to adversely affect many more species and ecosystems as global mean temperatures continue to increase (see Section 4.4). For example, there is high confidence that the extent and diversity of polar and tundra ecosystems is in decline and that pests and diseases have spread to higher latitudes and altitudes (Chapter 1 Sections 1.3.5 and 1.5). Each additional degree of warming increases disruption of ecosystems and loss of species. Individual ecosystems and species often have different specific thresholds of change in temperature, precipitation or other variables, beyond which they are at risk of disruption or extinction. Looking across the many ecosystems and thousands of species at risk of climate change, a continuum of increasing risk of loss of ecosystems and species emerges in the literature as the magnitude of climate change increases, although individual confidence levels will vary and are difficult to assess. Nevertheless, further warming is likely to cause additional adverse impacts to many ecosystems and contribute to biodiversity losses. Some examples follow. • About half a degree of additional warming can cause harm to vulnerable ecosystems such as coral reefs and Arctic ecosystems * (Table 4.1). • A warming of 1°C above 1990 levels would result in all coral reefs being bleached and 10% of global ecosystems being transformed (Chapter 4 Section 4.4.11). • A warming of 2°C above 1990 levels will result in mass mortality of coral reefs globally *** (Chapter 4 Section 4.4; Chapter 6 Box 6.1), with one-sixth of the Earth's ecosystems being transformed (Leemans and Eickhout, 2004) **, and about one-quarter of known species being committed to extinction *. For example, if Arctic sea-ice cover recedes markedly, many ice-dependent Arctic species, such as polar bears and walrus, will be increasingly likely to be at risk of extinction; other estimates suggest that the African Succulent Karoo is likely to lose four-fifths of its area (Chapter 4 Section 4.4.11 and Table 4.1). There is low confidence that the terrestrial biosphere will become a net source of carbon (Chapter 4 Section 4.4.1). • An additional degree of warming, to 3°C, is likely to result in global terrestrial vegetation becoming a net source of carbon (Chapter 4 Section 4.4.1), over one-fifth of ecosystems being transformed * (Chapter 4 Section 4.4.11; Leemans and Eickhout, 2003), up to 30% of known species being committed to extinction * (Chapter 4 Section 4.4.11 and Table 4.1; Thomas et al., 2004; Malcolm et al., 2006, estimate that 1 to 43% of species in 25 biodiversity hotspots are at risk from an approximate 3 to 4°C warming) and half of all nature reserves being unable to meet conservation objectives * (Chapter 4 Table 4.1). Disturbances such as fire and pests are very likely to increase substantially (Chapter 4 Section 4.4). • There is very high confidence that warming above 3°C will cause further disruption of ecosystems and extinction of species. A number of Earth-system changes may be classified as key impacts resulting in key vulnerabilities. At the regional level (see Chapters 4, 10, 11, 12 and 14), important aspects of the carbon-climate interaction include the role of fire (Denman et al., 2007 Section 7.3.3.1.4) in transient response and possible abrupt land-cover transitions from forest to grassland or grassland to semi-arid conditions (Claussen et al., 1999; Eastman et al., 2001; Cowling et al., 2004; Rial et al., 2004). Warming destabilises permafrost and marine sediments of methane gas hydrates in some regions according to some model simulations (Denman et al., 2007 Section 7.4.1.2), as has been proposed as an explanation for the rapid warming that occurred during the Palaeocene/Eocene thermal maximum (Dickens, 2001; Archer and Buffett, 2005). A rising eustatic (global) contribution to sea level is estimated to stabilise hydrates to some degree. One study (Harvey and Huang, 1995) reports that methane releases may increase very long-term future temperature by 10-25% over a range of scenarios. Most studies also point to increased methane emissions from wetlands in a warmer, wetter climate (Denman et al., 2007 Section 7.4.1.2). Increasing ocean acidity due to increasing atmospheric concentrations of CO2 (Denman et al., 2007 Section 7.3.4.1; Sabine et al., 2004; Royal Society, 2005) is very likely to reduce biocalcification of marine organisms such as corals (Hughes et al., 2003; Feely et al., 2004). Though the limited number of studies available makes it difficult to assess confidence levels, potentially severe ecological changes would result from ocean acidification, especially for corals in tropical stably stratified waters, but also for cold water corals, and may influence the marine food chain from carbonate-based phytoplankton up to higher trophic levels (Denman et al., 2007 Section 7.3.4.1; Turley et al., 2006). 10.7.4.4; Alley et al., 2005; Vaughan, 2007), is a key impact that creates a key vulnerability due to its magnitude and irreversibility, in combination with limited adaptive capacity and, if substantial deglaciation occurred, high levels of confidence in associated impacts. Ice sheets have been discussed specifically in the context of Article 2 (O'Neill and Oppenheimer 2002; Hansen, 2005; Keller et al., 2005; Oppenheimer and Alley, 2005). Near-total deglaciation would eventually lead to a sea-level rise of around 7 m and 5 m (***) from Greenland and the WAIS, respectively, with wide-ranging consequences including a reconfiguration of coastlines worldwide and inundation of low-lying areas, particularly river deltas (Schneider and Chen, 1980; Revelle, 1983; Tol et al., 2006; Vaughan, 2007). 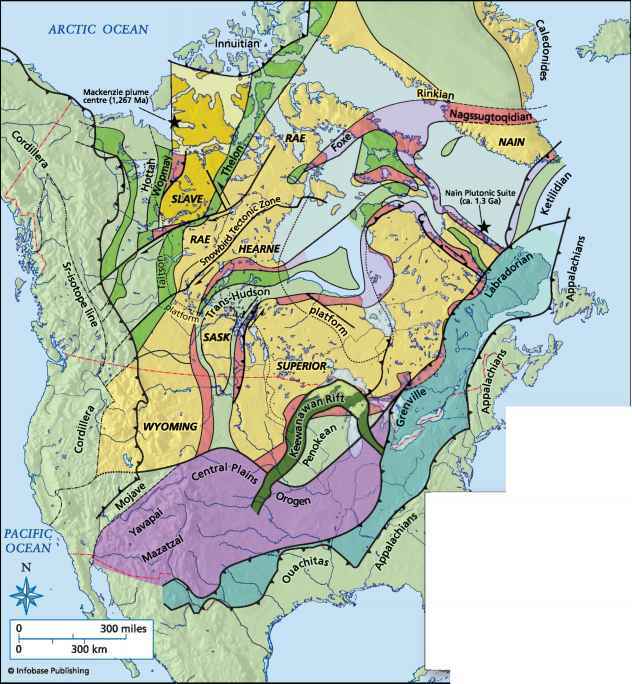 Widespread deglaciation would not be reversible except on very long time-scales, if at all (Meehl et al., 2007 Sections 10.7.4.3 and 10.7.4.4). The Amundsen Sea sector of the WAIS, already experiencing ice acceleration and rapid ground-line retreat (Lemke et al., 2007 Section 4.6.2.2), on its own includes ice equivalent to about 1.5 m sea-level rise (Meehl et al., 2007 Section 10.7.4.4; Vaughan, 2007). The ability to adapt would depend crucially on the rate of deglaciation (**). Estimates of this rate and the corresponding time-scale for either ice sheet range from more rapid (several centuries for several metres of sea-level rise, up to 1 m/century) to slower (i.e., a few millennia; Meehl et al., 2007 Section 10.7.4.4; Vaughan and Spouge, 2002), so that deglaciation is very likely to be completed long after it is first triggered. 10.7.4.3 and 10.7.4.4). Accordingly, there is medium confidence that at least partial deglaciation of the Greenland ice sheet, and possibly the WAIS, would occur over a period of time ranging from centuries to millennia for a global average temperature increase of 1-4°C (relative to 1990-2000), causing a contribution to sea-level rise of 4-6 m or more (Meehl et al., 2007 Sections 10.7.4.3 and 10.7.4.4; Oppenheimer and Alley, 2004, 2005; Hansen, 2005). Current limitations of ice-sheet modelling also increase uncertainty in the projections of 21st-century sea-level rise (Meehl et al., 2007 Section 10.6.4.2) used to assess coastal impacts in this report. An illustrative estimate by WGI of the contribution of processes not represented by models yielded an increase of 0.1-0.2 m in the upper ranges of projected sea-level rise for 2100 (Meehl et al., 2007 Section 10.6.4.2). Other approximation methods would yield larger or smaller adjustments, including zero. The sensitivity of the North Atlantic meridional overturning circulation (MOC) (cf., WGIAR4 Glossary; Bindoff et al., 2007 Box 5.1) to anthropogenic forcing is regarded as a key vulnerability due to the potential for sizeable and abrupt impacts (Tol, 1998; Keller et al., 2000; Mastrandrea and Schneider, 2001; Alley et al., 2003; Rahmstorf et al., 2003; Link and Tol, 2004, 2006; Higgins and Schneider, 2005; Sathaye et al., 2007). Palaeo-analogues and model simulations show that the MOC can react abruptly and with a hysteresis response, once a certain forcing threshold is crossed (Randall et al., 2007; Meehl et al., 2007). Estimates of the forcing threshold that would trigger large-scale and persistent MOC changes rely on three main lines of evidence. The first, based on the analysis of coupled Atmosphere-Ocean General Circulation Models (AOGCMs), do not show MOC collapse in the 21st century (Meehl et al., 2007 Box 10.1). Assessing the confidence in this is, however, difficult, as these model runs sample only a subset of potentially relevant uncertainties (e.g., Challenor et al., 2006) and do not cross the forcing thresholds suggested by the second line of evidence: simulations using Earth system models of intermediate complexity (EMICs) (Randall et al., 2007 Section 8.8.3; Meehl et al., 2007 10.3.4). EMIC simulations, which use simplified representations of processes to explore a wider range of uncertainties, suggest that the probability that forcing would trigger an MOC threshold response during the 21st century could exceed estimates derived from AOGCM runs alone (e.g., Challenor et al., 2006). The third line of evidence, not assessed by Working Group I, relies on expert elicitations (sometimes combined with the analysis of simple climate models). These MOC projections show a large spread, with some suggesting a substantial likelihood of triggering a MOC threshold response within this century (Arnell et al., 2005; Rahmstorf and Zickfeld, 2005; McInerney and Keller, 2006; Schlesinger et al., 2006; Yohe et al., 2006). Potential impacts associated with MOC changes include reduced warming or (in the case of abrupt change) absolute cooling of northern high-latitude areas near Greenland and north-western Europe, an increased warming of Southern Hemisphere high latitudes, tropical drying (Vellinga and Wood, 2002, 2006; Wood et al., 2003, 2006), as well as changes in marine ecosystem productivity (Schmittner, 2005), terrestrial vegetation (Higgins and Vellinga, 2004), oceanic CO2 uptake (Sarmiento and Le Quere, 1996), oceanic oxygen concentrations (Matear and Hirst, 2003) and shifts in fisheries (Keller et al., 2000; Link and Tol, 2004). Adaptation to MOC-related impacts is very likely to be difficult if the impacts occur abruptly (e.g., on a decadal time-scale). Overall, there is high confidence in predictions of a MOC slowdown during the 21st century, but low confidence in the scale of climate change that would cause an abrupt transition or the associated impacts (Meehl et al., 2007 Section 10.3.4). However, there is high confidence that the likelihood of large-scale and persistent MOC responses increases with the extent and rate of anthropogenic forcing (e.g., Stocker and Schmittner, 1997; Stouffer and Manabe, 2003). • the level of warming when triggered. ENSO shifts would affect agriculture (Cane et al., 1994; Legler et al., 1999), infectious diseases (Rodo et al., 2002), water supply, flooding, droughts (Kuhnel and Coates, 2000; Cole et al., 2002), wildfires (Swetnam and Betancourt, 1990), tropical cyclones (Pielke and Landsea, 1999; Emanuel, 2005), fisheries (Lehodey et al., 1997), carbon sinks (Bacastow et al., 1980) and the North Atlantic MOC (Latif et al., 2000). The North Atlantic Oscillation (NAO) and the Annular Mode in both the Northern and Southern Hemispheres (also known as the Arctic Oscillation, AO, and the Antarctic Oscillation, AAO; Meehl et al., 2007 Section 10.3.5.6; Hartmann et al., 2000; Thompson and Wallace, 2000; Fyfe et al., 1999; Kushner et al., 2001; Cai et al., 2003; Gillett et al., 2003; Kuzmina et al., 2005) are likely to be affected by greenhouse forcing and ozone depletion. For example, the average of the IPCC WGI AR4 simulations from thirteen models shows a positive trend for the Northern Annular Mode that becomes statistically significant early in the 21st century (Meehl et al., 2007 Section 10.3.5.6). Such changes would affect surface pressure patterns, storm tracks and rainfall distributions in the mid and high latitudes of both hemispheres, with potentially serious impacts on regional water supplies, agriculture, wind speeds and extreme events. Implications are potentially severe for water resources and storminess in Australia, New Zealand, southern Africa, Argentina and Chile, southern Europe, and possibly parts of the USA where Mediterranean-type climates prevail. Current forcing may have caused changes in these modes but observed changes are also similar to those simulated in AOGCMs in the absence of forcing (Cai et al., 2003). There is some evidence for a weakening of major tropical monsoon circulations (AR4 WGI 3.7.1, 9.5.3.5). Projections of monsoon precipitation show a complex pattern of increases (e.g., Australia in the southern summer and Asia), and decreases (e.g., the Sahel in the northern summer) (Meehl et al., 2007 Section 10.3.5.2). Confidence in projections of specific monsoonal changes is low to medium. As discussed in WGI AR4 Technical Summary (Solomon et al., 2007) Box TS.5 and Table TS.4, various extreme events are very likely to change in magnitude and/or frequency and location with global warming. In some cases, significant trends have been observed in recent decades (Trenberth et al., 2007 Table 3.8). The most likely changes are an increase in the number of hot days and nights (with some minor regional exceptions), or in days exceeding various threshold temperatures, and decreases in the number of cold days, particularly including frosts. These are virtually certain to affect human comfort and health, natural ecosystems and crops. Extended warmer periods are also very likely to increase water demand and evaporative losses, increasing the intensity and duration of droughts, assuming no increases in precipitation. Precipitation is generally predicted in climate models to increase in high latitudes and to decrease in some mid-latitude regions, especially in regions where the mid-latitude westerlies migrate polewards in the summer season, thus steering fewer storms into such 'Mediterranean climates' (Meehl et al., 2007 Section 10.3.2.3). These changes, together with a general intensification of rainfall events (Meehl et al., 2007 Section 10.3.6.1), are very likely to increase the frequency of flash floods and large-area floods in many regions, especially at high latitudes. This will be exacerbated, or at least seasonally modified in some locations, by earlier melting of snowpacks and melting of glaciers. Regions of constant or reduced precipitation are very likely to experience more frequent and intense droughts, notably in Mediterranean-type climates and in mid-latitude continental interiors. Extended warm periods and increased drought will increase water stress in forests and grasslands and increase the frequency and intensity of wildfires (Cary, 2002; Westerling et al., 2006), especially in forests and peatland, including thawed permafrost. These effects may lead to large losses of accumulated carbon from the soil and biosphere to the atmosphere, thereby amplifying global warming (**) (see Sections 4.4.1, 19.3.5.1; Langmann and Heil, 2004; Angert et al., 2005; Bellamy et al., 2005). Tropical cyclones (including hurricanes and typhoons), are likely to become more intense with sea surface temperature increases, with model simulations projecting increases by mid-century (Meehl et al., 2007 Section 10.3.6.3). However, despite an ongoing debate, some data reanalyses suggest that, since the 1970s, tropical cyclone intensities have increased far more rapidly in all major ocean basins where tropical cyclones occur (Trenberth et al., 2007 Section 3.8.3), and that this is consistently related to increasing sea surface temperatures. Some authors have questioned the reliability of these data, in part because climate models do not predict such large increases; however, the climate models could be underestimating the changes due to inadequate spatial resolution. This issue currently remains unresolved. Some modelling experiments suggest that the total number of tropical cyclones is expected to decrease slightly (Meehl et al., 2007 Section 10.3.6.3), but it is the more intense storms that have by far the greatest impacts and constitute a key vulnerability. The combination of rising sea level and more intense coastal storms, especially tropical cyclones, would cause more frequent and intense storm surges, with damages exacerbated by more intense inland rainfall and stronger winds (see Section 6.3.2). Increasing exposure occurs as coastal populations increase (see Section 6.3.1). Many adaptation measures exist that could reduce vulnerability to extreme events. Among them are dams to provide flood protection and water supply, dykes and coastal restoration for protection against coastal surges, improved construction standards, land-use planning to reduce exposure, disaster preparedness, improved warning systems and evacuation procedures, and broader availability of insurance and emergency relief (see Chapter 18). However, despite considerable advances in knowledge regarding weather extremes, the relevant adaptation measures are underused, partly for reasons of cost, especially in developing countries (White et al., 2001; Sections 7.4.3, 7.5 and 7.6). Despite progress in reducing the mortality associated with many classes of extremes, human societies, particularly in the developing world, are not well adapted to the current baseline of climate variability and extreme events, such as tropical cyclones, floods and droughts, and thus these impacts are often assessed as key vulnerabilities. The TAR (Smith et al., 2001; IPCC, 2001b) identified five 'reasons for concern' about climate change and showed schematically how their seriousness would increase with global mean temperature change. In this section, the 'reasons for concern' are updated. The TAR concluded that there is medium confidence that an increase in global mean temperature of 2°C above 1990 levels or less would harm several such systems, in particular coral reefs and coastal regions. Since the TAR, there is new and much stronger evidence of observed impacts of climate change on unique and vulnerable systems (see Sections 1.3.4 and 1.3.5; Parmesan and Yohe, 2003; Root et al., 2003,2005; Menzel et al., 2006), many of which are described as already being adversely affected by climate change. This is particularly evident in polar ecosystems (e.g., ACIA, 2005). Furthermore, confidence has increased that an increase in global mean temperature of up to 2°C relative to 1990 temperatures will pose significant risks to many unique and vulnerable systems, including many biodiversity hotspots (e.g., Hare, 2003; Leemans and Eickhout, 2004; Malcolm et al., 2006). In summary, there is now high confidence that a warming of up to 2°C above 1990-2000 levels would have significant impacts on many unique and vulnerable systems, and is likely to increase the endangered status of many threatened species, with increasing adverse impacts and confidence in this conclusion at higher levels of temperature increase. The TAR concluded that there is high confidence that the frequency and magnitude of many extreme climate-related events (e.g., heatwaves, tropical cyclone intensities) will increase with a temperature increase of less than 2°C above 1990 levels; and that this increase and consequent damages will become greater at higher temperatures. Recent extreme climate events have demonstrated that such events can cause significant loss of life and property damage in both developing and developed countries (e.g., Schär et al., 2004). While individual events cannot be attributed solely to anthropogenic climate change, recent research indicates that human influence has already increased the risk of certain extreme events such as heatwaves (**) and intense tropical cyclones (*) (Stott et al., 2004; Emanuel, 2005; Webster et al., 2005; Trenberth et al., 2007; Bindoff et al., 2007). There is high confidence that a warming of up to 2°C above 1990-2000 levels would increase the risk of many extreme events, including floods, droughts, heatwaves and fires, with increasing levels of adverse impacts and confidence in this conclusion at higher levels of temperature increase. Chapter 19 of the WGII TAR (Smith et al., 2001) concluded that there is high confidence that developing countries will be more vulnerable to climate change than developed countries; medium confidence that a warming of less than 2°C above 1990 levels would have net negative impacts on market sectors in many developing countries and net positive impacts on market sectors in many developed countries; and high confidence that above 2 to 3°C, there would be net negative impacts in many developed countries and additional negative impacts in many developing countries. There is still high confidence that the distribution of impacts will be uneven and that low-latitude, less-developed areas are generally at greatest risk due to both higher sensitivity and lower adaptive capacity. However, recent work has shown that vulnerability to climate change is also highly variable within individual countries. As a consequence, some population groups in developed countries are also highly vulnerable even to a warming of less than 2°C (see, e.g., Section 12.4.). For instance, indigenous populations in high-latitude areas are already faced with significant adverse impacts from climate change to date (see Section 14.4; ACIA, 2005), and the increasing number of coastal dwellers, particularly in areas subject to tropical cyclones, are facing increasing risks (Christensen et al., 2007 Box 11.5; Section 11.9.5). There is high confidence that warming of 1 to 2°C above 1990-2000 levels would include key negative impacts in some regions of the world (e.g., Arctic nations, small islands), and pose new and significant threats to certain highly vulnerable population groups in other regions (e.g., high-altitude communities, coastal-zone communities with significant poverty levels), with increasing levels of adverse impacts and confidence in this conclusion at higher levels of temperature increase. Chapter 19 of the WGII TAR (Smith et al., 2001) concluded that there is medium confidence that with an increase in global mean temperature of up to 2°C above 1990 levels, aggregate market sector impacts would be plus or minus a few percent of gross world product, but most people in the world would be negatively affected. Studies of aggregate economic impacts found net damages beyond temperature increases of 2 to 3°C above 1990 levels, with increasing damages at higher magnitudes of climate change. The findings of the TAR are consistent with more recent studies, as reviewed in Hitz and Smith (2004). Many limitations of aggregated climate impact estimates have already been noted in the TAR, such as difficulties in the valuation of non-market impacts, the scarcity of studies outside a few developed countries, the focus of most studies on selected effects of a smooth mean temperature increase, and a preliminary representation of adaptation and development. Recent studies have included some of these previously unaccounted for aspects, such as flood damage to agriculture (Rosenzweig et al., 2002) and damages from increased cyclone intensity (Climate Risk Management Limited, 2005). These studies imply that the physical impacts and costs associated with these neglected aspects of climate change may be very significant. Different analytic techniques (e.g., Nordhaus, 2006) can result in estimates of higher net damages; inclusion of indirect effects can increase the magnitude of impacts (e.g., Fankhauser and Tol, 2005; Stern, 2007). Other studies reinforce the finding of potential benefits at a few degrees of warming, followed by damages with more warming (Maddison, 2003; Tol, 2005). However, long-term costs from even a few degrees of warming, such as eventual rise in sea level (e.g., Overpeck et al., 2006), are not included in aggregate damage estimates. In addition, the current literature is limited in accounting for the economic opportunities that can be created by climate change. On balance, the current generation of aggregate estimates in the literature is more likely than not to understate the actual costs of climate change. Consequently, it is possible that initial net market benefits from climate change will peak at a lower magnitude and sooner than was assumed for the TAR, and it is likely that there will be higher damages for larger magnitudes of global mean temperature increases than estimated in the TAR.